11:o0am – 28-30 mile bike ride up the 101 (mostly flat). I felt good on the bike today which surprised me since I ran 16.5 miles yesterday. I actually wasn’t even that sore when I woke up. Success! I still foam-rolled my quads and calves before getting on the bike, and Nicole and I took it pretty easy, cruising up and down the 101. I even got to sleep in today because Nicole had a prior engagement, so that probably aided in my recovery. 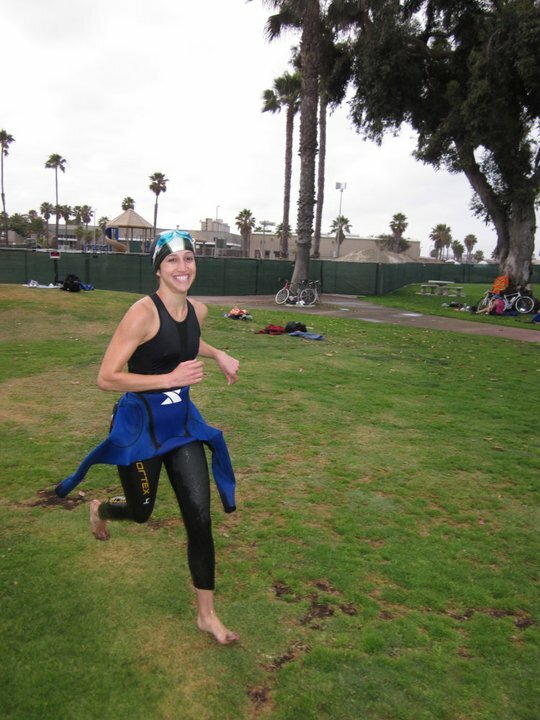 This was a new (free) swim class put on by the Tri Club of San Diego (TCSD). I was excited to try it since it’s close to my house and in the afternoon so it’s much less cold outside compare to the 7:30pm weekday swims. I worked with a new swim coach today and she had us spend most of our time perfecting our stroke. I picked up some new drills today that should help me become a better swimmer. The swim is my key limiter in triathlons, so I need to focus on it as much as possible. After I rushed from bike to swim, I then dashed to a TCSD Christmas Caroling event! A group of 25-30 of us sang Christmas songs at 4 assisted living homes around north county. I loved seeing the joy we brought to so many of the elderly living in these homes. Such a fun and active triathlon inspired Sunday!